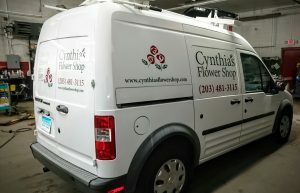 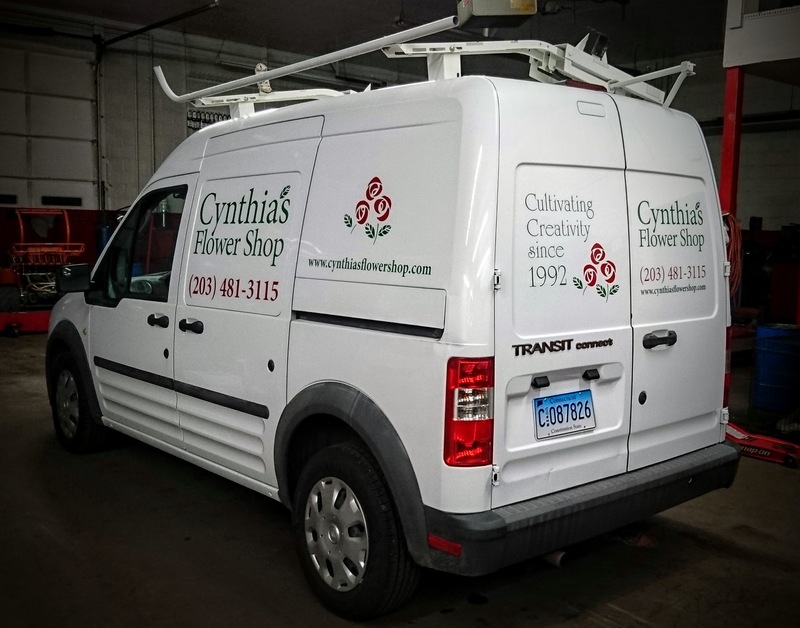 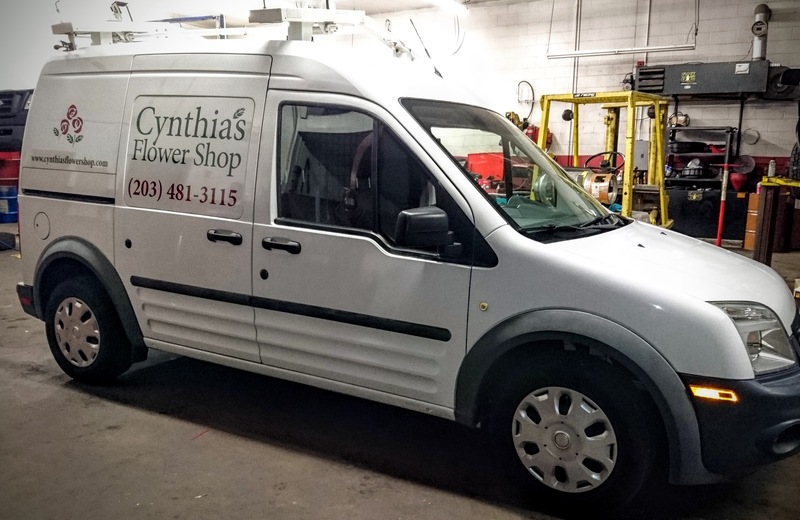 Cynthia’s Flower Shop, a long time local business, approached NOTZDesign about vinyl lettering for their new delivery van. 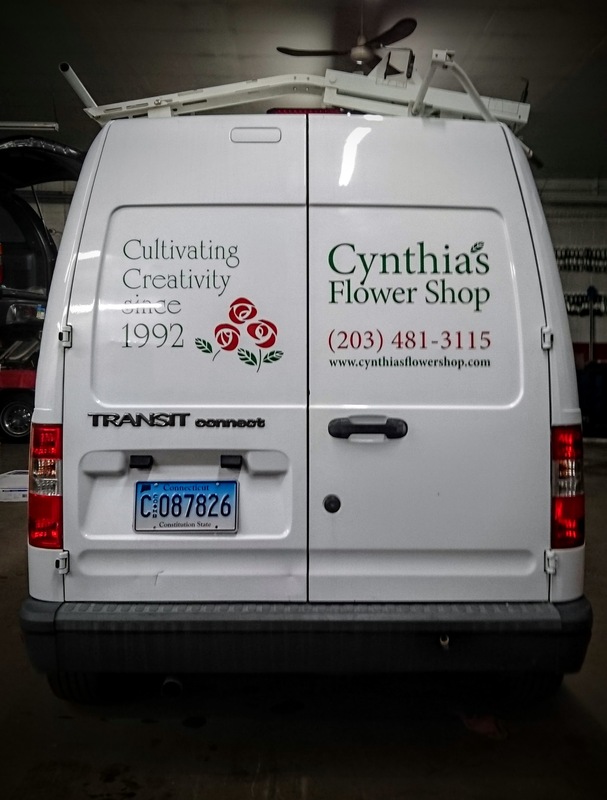 Cynthia wanted to continue her corporate identity efforts by using “her” colors, fonts and logo, but also wanted to use a tag line that reflects her business, as well as highlighting the fact that she has many years of experience in this business. 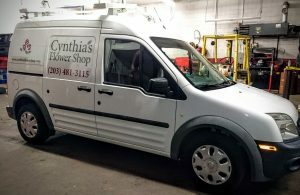 Since the van had some very distinct panels set into the body, we made use of them, highlighting the various areas, as opposed to trying to design/letter across these body lines. We wish Cynthia best of luck with her new vehicle and if you are ever in need of flowers, bouquets or arrangements for an event, make sure to stop by her place! 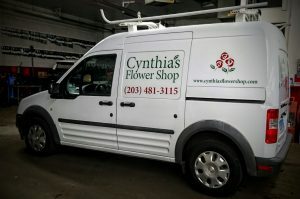 ← EMPLOYEERIGHTSLLC.COM got a huge makeover!